This was a short week on Copyblogger, as we took Monday off in observance of Memorial Day. On Tuesday, Stefanie Flaxman wrote about one of my favorite topics — the Necessary Mess, and why writers need it. She gives some helpful tips on how to get comfortable with the funky stuff that comes before the greatness. On Wednesday, I wrote about a topic that’s been much on my mind: the apparent paradox of automation in marketing. At a time when we’re not so sure we do welcome our new robot overlords, “automation” can feel creepy or even scary. But the real role automation can play for digital marketers is very different from how the aggressive language might make it seem. Over on Unemployable, check out Brian Clark’s conversation with James Clear about entrepreneurial habits. 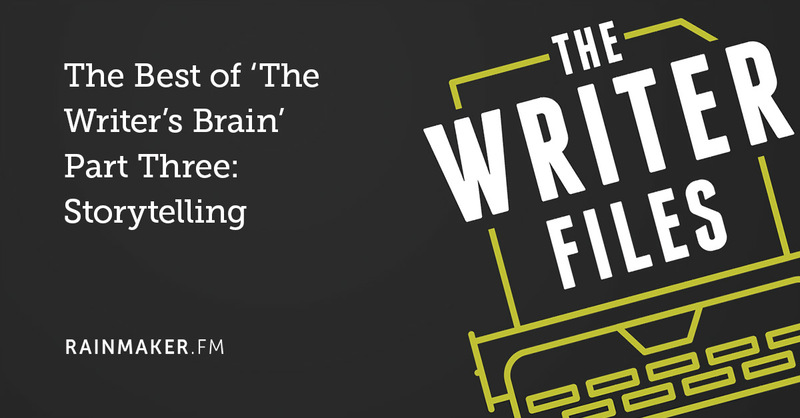 And if you’re craving some writerly advice, The Best of ‘The Writer’s Brain’ episode on The Writer Files this week is all about the craft of storytelling. Enjoy the weekend and catch you next time! Catch you next time also… I hope you’d a lovely weekend too ?